5.3 Earthquake hits western Xizang, China. Tropical cyclone Hellen is located approximately 240 nm north-northwest of Antananarivo, Madagascar. Extremely dangerous Category 4 Tropical Cyclone Hellen is bearing down on Madagascar after an extraordinary burst of rapid intensification brought the cyclone from a 60 mph tropical storm to a high-end Category 4 storm with 150 mph winds in just 24 hours. Hellen is forecast to strike Madagascar as a very intense tropical cyclone at about 12:00 GMT on 31 March. The La Réunion weather service has issued a warning: Hellen is likely to be one of the most powerful tropical cyclones ever seen over the northern channel since the satellite era (1967). the likelihood is increasing for an extremely dangerous tropical cyclone landfall over the northwestern coastline of Madagascar between cape Saint-Andre and Mahajonga. the RSMC tropical cyclone storm surge RWP has been run and shows phenomenal sea elevations in the area exposed to the northerly winds. The UN’s top court ruled on Monday to temporarily halt Japan’s whaling program in Antarctic waters, in a case brought against the country by Australia and environmental groups. Presiding Judge Peter Tomka at the International Court of Justice said that the court’s 16-member panel decided that Japan has not justified the large number of minke whales it takes under its program, while failing to meet much smaller targets for fin and humpback whales. The court ordered a halt to the issuing of whaling permits until the program is redesigned. 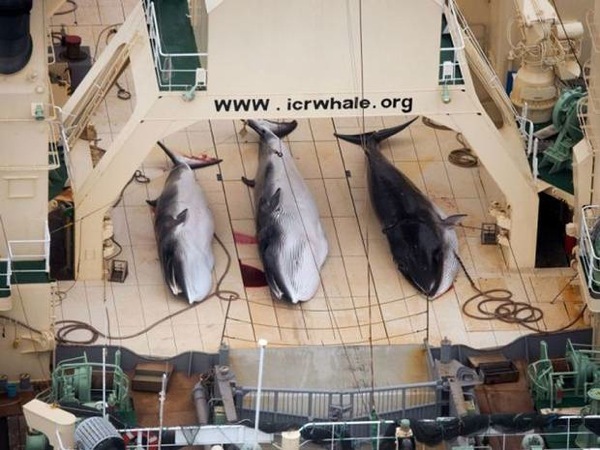 Japan hunted around a thousand whales annually in what it claims was a scientific program. But Australia and environmental groups accused Japan of attempting to manoeuvre around a moratorium on commercial whaling imposed by the International Whaling Commission in 1986. While whale meat is becoming less popular in Japan, it is considered a delicacy by some, and meat from the hunt is sold commercially. As of 28 March, the total number of suspected and confirmed cases in the on-going Ebola haemorrhagic fever (EHF) outbreak in Guinea has increased to 112, including 70 deaths (Case Fatality Rate 62.5%). New suspected cases have been reported from Conakry (4 cases), Guékédou (4), Macenta (1) and Dabola (1) prefectures. The date of hospital admission of the most recent suspected case is 28 March. The Ministry of Health (MoH) of Liberia has provided updated details on the suspected and confirmed cases of Ebola haemorrhagic fever (EHF) in Liberia. As of 29 March, seven clinical samples, all from adult patients from Foya district, Lofa County, have been tested by PCR using Ebola Zaire virus primers by the mobile laboratory of the Institut Pasteur (IP) Dakar in Conakry. Two of those samples have tested positive for the ebolavirus. There have been 2 deaths among the suspected cases; a 35 year-old woman who died on 21 March tested positive for ebolavirus while a male patient who died on 27 March tested negative. Foya remains the only district in Liberia that has reported confirmed or suspected cases of EHF. As of 26 March, Liberia had 27 contacts under medical follow-up. 5.1 Earthquake hits central Alaska. 5.0 Earthquake hits Hubei, China. Tropical cyclone Hellen is located approximately 345 nm north-northwest of Antananarivo, Madagascar. Hellen, a low pressure area centred over the Mozambique Channel organized into Tropical Cyclone 21S (Hellen) on Friday afternoon. 8 Tornadoes Reportedly Hit Missouri, Southern Iowa late on Thursday. Jakarta – Heavy rain that poured the city until Saturday (3/29) predawn, had caused two urban villages in East Jakarta, Kampung Pulo and Jatinegara, flooded. In addition, the overflowed of Ciliwung River and water from Bogor have inundated residents houses. The flood began to inundated 600 houses in Kampung Pulo since 3 am. The water level reached 30-100 cm. No one was evacuated. Tanzania – One person was killed and fiver others went missing on Friday after floods triggered by ongoing heavy rains in many parts of Tanzania derailed a cargo train in the country’s central town of Mpwapwa. Mpwapwa district commissioner Christopher Kangoye said the floods swept away the locomotive engine of the cargo train that was pulling 11 petrol and diesel tankers and nine wagons with different types of cargo. Etna (Sicily, Italy): Since the end of lava effusion 3 days ago, Etna has remained all quiet and the recent flow field is now slowly cooling down. Ibu (Halmahera, Indonesia): Activity (effusive / explosive) continues at the volcano, which has an active lava dome. A new MODIS hot spot is visible on satellite data, suggesting this has recently increased. Sinabung (Sumatra, Indonesia): The volcano remains active on a slowly decreasing trend, with little variation over the past weeks. The viscous lava lobe remains weakly alimented and continues to grow very slowly. An intermittent steam and sometimes light ash plume often rises up to about 14,000 ft (4.2 km) altitude. No new pyroclastic flows have occurred recently. Poas (Costa Rica): Another small phreatic eruption occurred from the volcano’s crater lake Friday morning. 5.8 Earthquake hits the central Mid-Atlantic ridge. 5.2 Earthquake hits near the east coast of Honahu, Japan. 5.1 Earthquake hits the Greater Los Angeles Area, California. 5.0 Earthquake hits off the coast of Nicaragua. Worms are struggling to cope with the use of pesticides, which a new study reveals alters both the physiology and behaviour of the important soil-aerating creatures. 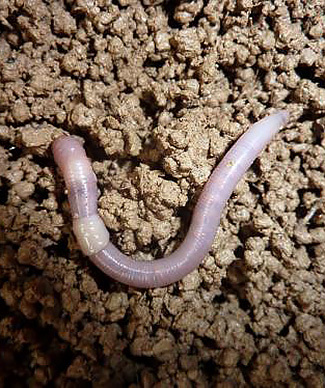 A Danish-French research team studied earthworms that had been living for generations in soil sprayed with a fungicide. “They spend a lot of energy on detoxifying, and that comes with a cost,” said researchers Nicolas Givaudan and Claudia Wiegand, whose report was published in the journal Soil Biology and Biochemistry. And that cost is that they are less successful at reproducing and are much smaller than worms living in organic farming fields. That means there are often two to three times more earthworms in unsprayed soil than in soil treated with pesticide. Earthworms are important to the environment because they help in the decomposition of decaying leaves, as well as eat parts of fungus and bacteria. Their burrowing activity brings air into the soil. Earthworms living in ground treated with fungicide weigh half as much as those living in untreated fields. Climate change has stretched the wildflower blooming season in the Rocky Mountains by more than a month, with half the flowers beginning to bloom weeks earlier than before. But researcher David Inouye of the University of Maryland says that the flowering plants’ response to climate change is complex, with different species responding in unexpected ways. Inouye began counting flowers in the Rockies in 1974, long before climate change was even on the scientific radar. He and his students have since amassed an enormous amount of data on wildflower blooming, and say the blooming times are now changing rapidly. 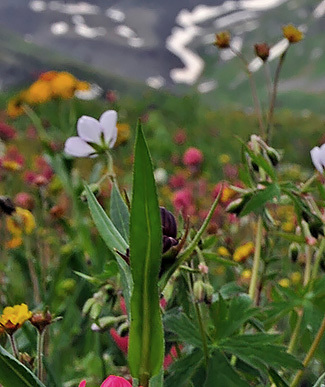 Writing in the journal Proceedings of the National Academy of Sciences, he says that the peak time of wildflowers bursting into bloom has moved up five days per decade during his study. But he says that as the bloom season lengthens, the plants are not producing more flowers. The same number of blooms is spread out over more days, so at peak bloom there may be fewer flowers. The head of the United Nations weather agency says that global warming has not changed and will continue for at least centuries due to the burning of fossil fuels by humans. Michel Jarraud made the pronouncement as he presented the World Meteorological Organization’s annual review of the world’s climate. The report concludes that last year tied with 2007 as the sixth-hottest since reliable records began over 150 years ago. It also says that 13 of the 14 warmest years on record have occurred in this century. “The warming of our oceans has accelerated, and at lower depths. More than 90 percent of the excess energy trapped by greenhouse gases is stored in the oceans,” Jarraud told a news conference. “Greenhouse gases are at record levels, meaning that our atmosphere and oceans will continue to warm for centuries to come. The laws of physics are non-negotiable,” Jarraud added. Firefighters are working to contain wildfires that charred crop fields, rangeland and pasture, including one that blackened nearly 11 square miles in central Nebraska. The biggest fire, north of St. Paul, had been mostly contained Wednesday, but it flared up again Thursday and ignited some trees near the burned pastureland. At least 17 fire departments were involved Wednesday when winds gusting over 40 mph helped spread the blaze. The fire destroyed one abandoned home and barn, and it killed several cattle but it was unclear how many. One firefighter also sustained minor injuries. In southeast Nebraska, firefighters from several departments battled a fire that charred an estimated 300 acres north of U.S. Highway 34, near Union. In northeast Nebraska, firefighters from Battle Creek, Humphrey, Norfolk, Madison and Stanton were dispatched to handle a wildfire along U.S. Highway 81 south of Norfolk. Fuego volcano (Guatemala): The volcano’s activity has dropped again a bit. During 27-28 March, 34 moderate explosions with ash plumes up to 800 m high were reported by the volcano observatory. Light ash falls occurred in areas to the west and many explosions were accompanied by shock waves. The recent lava flow, though, seems to be inactive again. Karymsky volcano (Kamchatka) activity update: Activity at the volcano seems to have been on comparably high levels, since ash plume reports have become more frequent recently. VAAC Tokyo reported ongoing ash emissions with a plume drifting eastwards at estimated 7,000 ft (2.1 km) altitude. Reventador volcano (Ecuador): elevated activity, lava flows and ash emissions. The volcano’s activity has remained high since the beginning of the current eruptive phase since 25 March. Fresh lava continues to extrude at the summit crater, adding to the dome that had been active since 2011, and producing incandescent avalanches, small pyroclastic flows on its flanks and ash emissions. Seismic activity has remained at high levels, showing continuous tremor and emissions signals. IGPEN reports that the pyroclastic flows on the E, SE and S flanks have traveled up to 1.5 km from the summit. Additionally, there seems to be at least 2 lava flows that descend the south-eastern and eastern flank of the volcano, with fronts reaching approx. 500 m distance. Shishaldin volcano (Aleutian Islands, Alaska): alert level raised, likely new lava dome growing incrater The Alaska Volcano Observatory raised the alert level for the volcano to Aviation Color Code ORANGE and Alert Level WATCH: “Elevated surface temperatures were detected in satellite data beginning on March 18 and have persisted to the present time. Analysis of this data shows that temperatures are consistent with the eruption of lava within the summit crater. The current activity appears to be confined to the deep summit crater and there have been no observations of lava on the flanks of the volcano or surrounding the summit crater. Web camera images, satellite data and pilot observations over the past week show only minor steam emissions from the mountain’s summit crater. There has been no evidence of ash emission. BOn 27 March 2014, the National Health and Family Planning Commission (NHFPC) of China notified WHO of an additional laboratory-confirmed case of human infection with avian influenza A(H7N9) virus. 5.6 Earthquake hits La Rioja, Argentina. 5.4 Earthquake hits La Rioja, Argentina. Bangladesh – Storm hits 2 Sherpur upazilas. A norwester, accompanied by hailstorm, lashed 10 bordering villages in Nalitabari and Jhinaigati upazilas Tuesday night, damaging over 200 katcha houses and Boro seedlings and vegetables on a vast tract of land during its half an hour fury. The storm-hit villages are Sondhakura, Garokona, Gumra, Fhakhrabad, Haldi in Jhinaigati upazila, Samshchura, Hatipagar, Meshkura, Burunga and Kalapani in Nalitabari upazila. Canada – Possible frost quake buckled shoreline at Kinbrook. A loud bang and subsequent mini-quake that rocked cabins at the north end of Kinbrook Island about five weeks ago is thought to be the result of a frost quake – the release of pressure built up by freezing water underground. The bang, or boom as some described it, was heard as far away as Lake Newell Resort, some six miles away. Canada – The strongest Nor’easter of 2014 blasted Prince Edward Island, New Brunswick and Nova Scotia, Canada on Wednesday with wind gusts over 100 mph and up to a half meter (19.5″) of snow, bringing travel to a standstill and causing power outages that affected about 17,000 customers in Nova Scotia. USA -US mudslide death toll are expected to leap. Fatalities from last week’s Washington state mudslide will rise “substantially” in the next two days, authorities say, with 90 people still missing.